This is why we want to share with you Juliana’s story below! 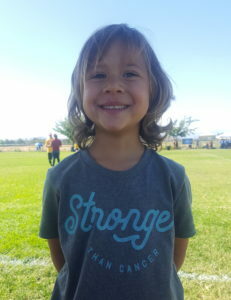 Juliana was 3 years old when diagnosed with a Wilm’s Tumor. She was healthy, happy, energetic and had no symptoms. 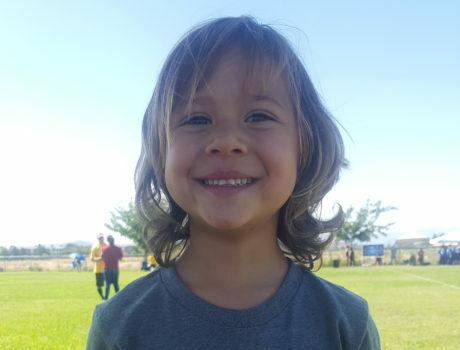 So, after attending a well-check visit and the doctor expressing some initial concerns of an enlarged spleen, Juliana’s parents, Cara and Jorge, quickly found themselves on the cancer path and getting connected with The KICKcancER Community. I have never felt so connected to a group of people I have never met…the knowledge we gained and the sense of community was priceless. So, keep reading below, and if you need support and community, take advantage of one of our programs, interact with us on Facebook or Instagram, or send us an email. We are here to help! Here’s our favorite Homemade Ranch Dressing Recipe. We also love Bragg’s Live Foods and Tessemae’s. We have learned how to read labels of food. Two resources that might be helpful: Foundational Principles of a Healthy Diet and the WAPF Shopping Guide and/or Real Food App. The guide is included in our KICKstart Kits. I felt very lost when my child was diagnosed like so many others. I was laying in the hospital bed with a just turned 3 year old next to me. I’m not sure who was more scared. Luckily, I had a friend that had a friend who knew Season’s sister. I got an email from Season welcoming me with hope. I knew it wasn’t going to take the cancer away, but it gave me something to hold onto that I could do. I started immediately with oils from a friend. I began detox baths when chemo started along with castor oil packs and bone broth. We were able to do things to support my daughter’s system. I was able to message Kari, and she offered support when I just needed a pep talk or info about how to use an oil or what should I do when the doctors asked me this or that. I think that was one of the best things…I could actually touch base with someone and get a response when I felt so lost. It was often hard to navigate all the information I was receiving, so to be able to listen to a Facebook Live or ask a question and get an answer was crucial. I will forever be grateful to KICKcancER and honestly can say that at least once a day, I think about them or use their name in a conversation. I am filled with emotion thinking about how strong I was able to be for my daughter because of them. On top of that, how strong Juliana is because of them. Like this post? Share with others. Do something today that your future self would thank you for. 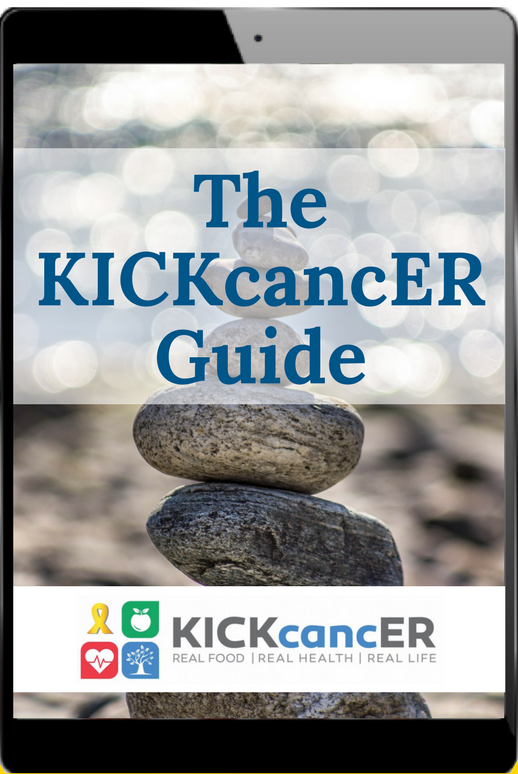 Get Started With Our Free KICKcancER Guide. 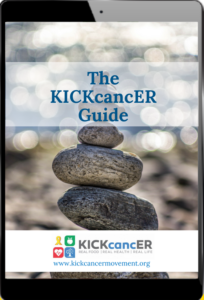 The guide includes simple strategies and the 1st steps to take to holistically fight cancer alongside of conventional treatment. It will empower you to take control of your child’s well-being.